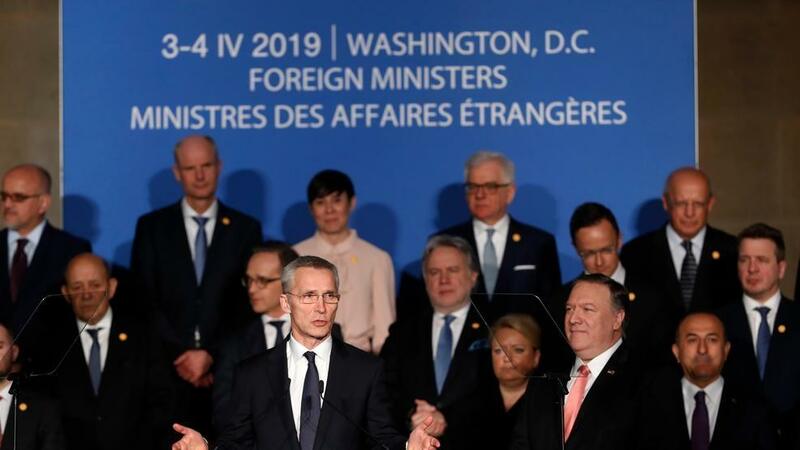 Pompeo addressed a meeting of NATO foreign ministers in Washington marking the transatlantic military alliance’s 70th anniversary. He raised the issue of Venezuela in response to a question over Moscow's alleged increase in military activity in places like the Black sea, where three Ukrainian naval vessels and their crew were seized in the Kerch Strait last November. According to remarks made after the meeting to reporters, Reuters noted, "Pompeo said NATO members had agreed Russian troops needed to withdraw from Venezuela, where they were deployed in support of President Nicolas Maduro, who is under pressure from a coalition of more than 50 countries, including the United States, to step down." Also according to the report, Venezuela’s deputy foreign minister, Ivan Gil, shot back on Thursday saying Russian forces will stay in Venezuela "as long as needed and did not rule out the possibility more could be added." This echoes prior Russian foreign ministry statements on the recent deployment of some 100 Russian troops led by a general. Russia described its forces in Venezuela as "specialists" who are servicing existing contracts related to defense procurement, and which is perfectly legal according to prior agreements between two sovereign countries. Further as part of the conference NATO chief Jens Stoltenberg called on Moscow to release the Ukrainian vessels and their crews which had been held since the Nov. 25 Kerch Strait incident. He said the NATO allies had agreed on a package of measures to step up support for Ukraine and Georgia that included increased surveillance drills and “training of maritime forces and coast guards, port visits and exercises, and sharing information.” Ukraine and Georgia, which like Ukraine is a Russian neighbor and part of the former Soviet Union, are not NATO members. As for China, officials in Beijing this week firmly rejected reports that the Chinese military had entered Venezuela on a humanitarian aid mission. Last week the White House had warned all foreign troops and countries "external to the Western Hemisphere" to keep their forces out of Venezuela.